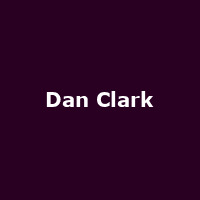 How not to have a good time - by missing Dan Clark's 2011 live stand-up tour! The name might not ring many bells at the moment but the star of the archly-humoured BBC comedy-series, How Not To Live Your Life, has been on our screens for longer than you may think. He first appeared in a minor role in an episode of Only Fools and Horses, before co-writing Estate Agents and landing the role of Johnny Two Hats in Mighty Boosh. Since 2007, the observational sit-com HNTLYL (about a neurotic man - Don - and his woeful life-decisions and inappropriate behaviour), has quietly but consistently drawn praise from critics and to tie in with the launch of the 3rd series (starting this week), its creator Dan Clark has announced a 2011 stand-up tour. The dates begin on 5th April in Ipswich, before continuing around the UK until Stoke on 5th May. Tickets went on sale at Midday today, priced at around £15 plus fees. The keen-eyed will notice that there are no London dates to follow up his Underbelly appearance earlier this year, but we reckon it'll be a matter of time before at least one gets added (there are a few free days on offer at the end of April). Keep checking back is our advice!